The Walter family is spending a relaxing afternoon at home. What are they doing? 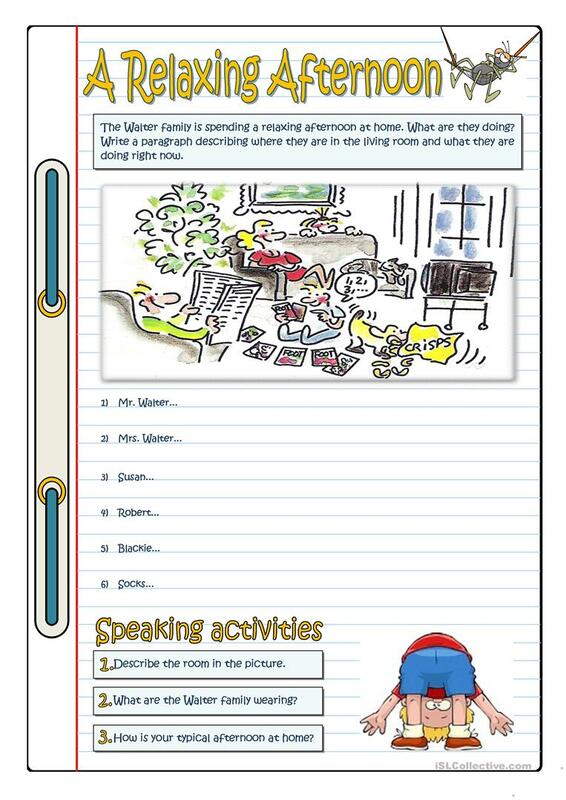 Students write a paragraph describing where they are in the living room and what they are doing right now. Then the students complete the information about the picture answering some questions orally. The above downloadable worksheet was created for high school students and adults at Elementary (A1) and Pre-intermediate (A2) level. It is valuable for teaching Present continuous (progressive) tense in English, and is useful for improving your learners' Speaking and Writing skills. It focuses on the topic and words of Clothes, fashion.